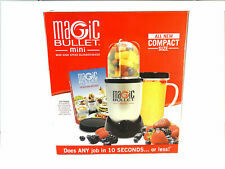 5 Speeds/Crush Ice/Pulse Mode - Stir, chop, mix, puree or liquify. The KitchenAid Blender provides the ultimate blending performance to stir, chop, mix, puree and liquefy, with pulse 1-5 settings and crush ice mode. The infuser shape of duck,cute,mini,visual and practical. Put the tea in infuser,and then dip in hot water a few minutes. Can be filled with tea,coffee beans,soup seasoning. Made of stainless steel,it is durable,rustless,easy to use and clean. Portable Wedding Tea Strainer Herbal Spice Filter Diffuser Stainless Steel Ball http://stores.ebay.com/jewelry-work. Materials:Stainless Steel. Features:100% Brand new. Designed with the coffee connoisseur in mind, the VonShef 15 Bar Espresso Machine combines professional functionality with sleek good looks. The VonShef Espresso Machine makes it incredibly easy to whip up a range of delicious drinks including espressos, lattes, cappuccinos, macchiatos, mochas and hot chocolate. Tea strainer can be used to filter tea strainer fine, very durable, Paowan tea, tea leaves can be removed from the tea strainer, can be recycled. 1Pc x Tea strainer. Also note that monitor settings may vary from computer to computer and may distort actual colors. 1 Tea Infuser. Swirl,stir or press plunger to release more flavor. 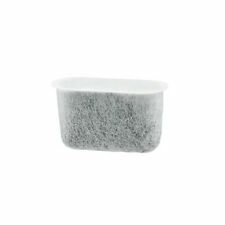 Fill hopper with loose tea(max 1 tbsp)or one tea bag. Edible grade silicone material. Close and place into cup of hot water. Use the built-in plunger to press tea and release more intense flavor. 1 Tea Infuser with Lid. The lid can also be used as a tray for the strainer, protect you from the heat while keep your table clean, practical for using. Usage: Coffee & Tea Tools, Tea Accessories. Designed to fit for all standard sized mugs, perfect for ceramic, glass, stainless steel and many other kinds of mugs. YGS-Y171 New Teabags 100 Pcs Lot 5.5 x 7CM Empty Tea Bags With String Heal Seal Filter Paper for Herb Loose Tea bag Clean Health. Suitable for tea, spice and herbal powder. These bags are used for filling with 3 ~ 8g mixture of tea or dry herb or plants. 1PCS x Tea Strainer. Sturdy Clamp Holds Ball Together. Materials: Stainless Steel. Easily Brew the Most Flavorful Tea. Great for Hot or Cold Tea. Color: Silver. Not all kitchens feature lots of counter space and area to walk around. Thankfully, there are many efficient kitchen appliances that work well in smaller areas from brands like BELLA, Oster, and KitchenAid. Strategically placed small appliances can expedite cooking processes and help consolidate tasks that may normally require several individual kitchen tools. What types of small appliances are used for kitchen tasks? Blenders: These products, from brands like BELLA, Oster, KitchenAid, and others, come in a wide range of capabilities and attachments. The most minimal blenders have one blade type, low wattage, and no portable cup. 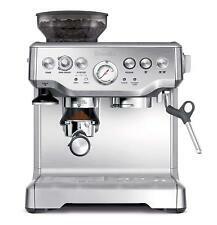 However, more expansive models have multiple blades, multiple cups, accessories, and high-wattage settings. Toasters: Toasters save users from using the oven to toast bread, a method that wastes energy. They can range from basic one-size bread pop-ups to products that have varying food insertion sizes and multiple features. Food processors: Everyone can chop, puree, grind, and blend food in minutes with these handy appliances. Most of these machines have multiple blades and attachments for preparing different types of food. Stand mixers: Handheld mixers have made way for these versatile and powerful stand mixers. The most basic models include a mixer bowl and are capable of several speeds. On the other hand, more deluxe versions include a large range of speeds and attachments that do much more than mix cookie dough. Can openers: While handheld can openers can get the job done, electric models are more efficient and generally last much longer. Food steamer: Healthy food preparation is a snap with electric stackable food steamers. Different foods can be placed in separate containers, stacked, and then turned on to be steamed all at the same time. Slow cookers: You can save energy and time by having kitchen meals prepared in a slow cooker while you're away from home. Less energy is used than with an oven, and an entire meal can be cooked in some of the larger models. Sous vide appliances: The sous vide method of cooking involves using a container filled with hot water to cook vacuum-sealed food. A sous vide appliance is a small device that works with a home water container and vacuum-sealed food by circulating the water at a set temperature. All-in-one machines that come with a water container are also available. What appliances can be operated by remote or Wi-Fi systems? Many appliances for the kitchen can now be operated with a smart device. These appliances can either utilize a home-based, all-in-one system or be run remotely from a tablet, phone, or computer system. Slow cookers, sous-vide systems, and food processors are just some of the kitchen appliances that utilize smart technology.